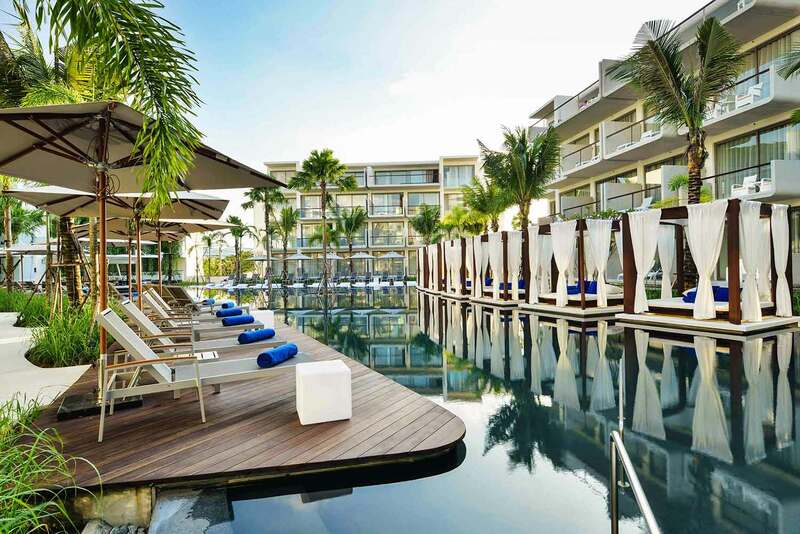 Arriving in the dip of low-season unfortunately meant that we couldn’t see the Dream Hotel Phuket it all its glory, an alleged good-times, party-centric, oasis property in an upscale residential neighbourhood, just 20 minutes from Phuket airport. However, being just one of 12 guests in residence at the property really meant we got to enjoy the resort to ourselves and inspect it with a fine-tooth comb. 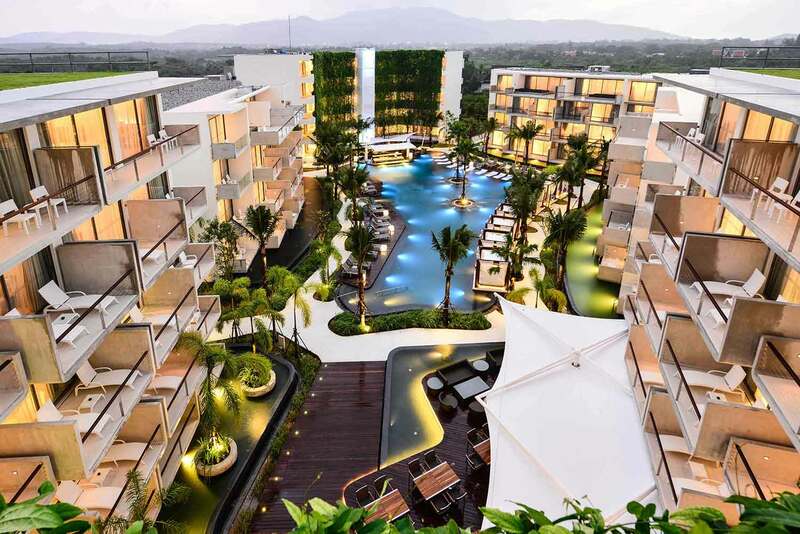 And as high-energy hotels go, this place has it all – a complex of modernist buildings all focused on and overlooking a central pool, ready to host the ultimate pool party, complete with Miami-esque loungers and cabanas, sculptured deck-chairs and pool bar. 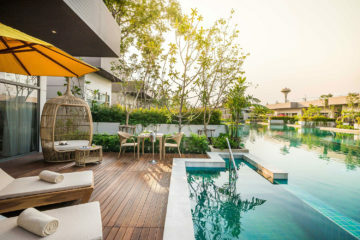 Our poolside room with direct pool-access from our terrace was small, but well appointed, far from the traditional Thai teak and silk experience you’d get elsewhere. Contemporary furnishings with bright splashes of purple and a cute towel-art elephant on the bed on arrival greeted us instead. We noted some sprawling penthouse suites with terrace pools for those who want to splash out in more ways than one. 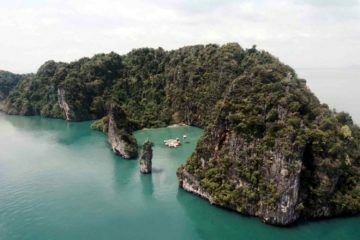 The team’s approach to service is also not as clasp-handed as other Phuket hotels; the staff are young and hip. Daily excursions and shuttles are available should you want to get into Patong or other parts of the island, but the only time we left the resort was to journey (by limo) to the hotel’s divine Dream Beach Club. Here, the party vibe continued in front of a stretch of golden sand at Layan Beach. We engaged in a DJ lesson with resident tunemaker Bradley Hart and went behind the bar with a mixologist to shake up a batch of Thai-inspired cocktails, before sampling some signature sushi rolls. 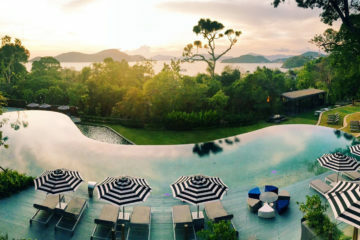 Our stay happened to cover a Sunday when the club gets into full swing, with visitors coming from across Phuket to enjoy the beachside hedonism it offers.